Build a Perimeter – As the man always says, “Remember, safety first!” So, remove all plants and shrubs in a 7-foot radius around the fire pit. You will need this room for seating anyway – just use stone benches or other non-flammable furniture. Erect a Wind Screen – In addition to containing the heat to a certain degree, a wind screen also makes for a more cozy and secluded environment. This feature is great for a group of friends or even better for you and that special someone. Install Planters on the Perimeter – These items will help retain the heat generated by the fire pit and also to distribute it more evenly in the space. Heavier stones like granite work best but porcelain pots can work in a pinch. Looking for more info or an Atlanta landscape designer, please contact us online at OutdoorExpressions.net or phone our team directly at 888-210-1116. Outdoor Expressions – Make your outdoor space a place to remember. It may not seem like much, but a layer of mulch – or even better, manure – will insulate the ground and keep roots from freezing – the death knell of plants. You only need an inch or so to keep your plants from feeling the cold. Old blankets and bed sheets – not plastic – will significantly shelter your plants from the wind chill factor. No need to be neat. Just cover the plant as necessary and remove as soon as the threat passes. Potted plants are extremely susceptible to the cold. Make sure you get them inside as soon the weather indicates. For more info on this these and other winter gardening tips, please visit us online at OutdoorExpressions.net or phone us directly at 888-210-1116. Outdoor Expressions – Make your outdoor space a place to remember. The choice of what plant to place in your yard is determined by a number of factors not least of which is whether the plant itself can stand the local environment. For this reason, many homeowners and outdoor designers choose to use native plants when creating a landscape. 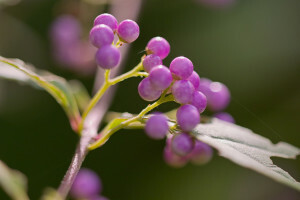 Beautyberry – Easy to grow and quite spreadable – although not aggressively so – this lovely small tree has purple fruit that does not appear until autumn with the added benefit of attracting wildlife at that time of year. Piedmont Azalea – Beautiful in both formal and natural gardens, this plant is a mainstay of southeastern gardens because it is almost impossible to kill. 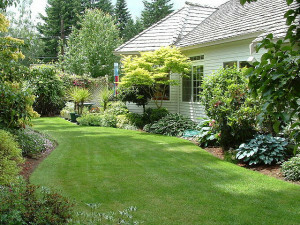 For more information on the native plants of Georgia or if you are already looking for an Atlanta landscape designer, please contact us online at OutdoorExpressions.net or phone us at 888-210-1116. Outdoor Expressions – Making your outdoor space a place to remember. Shows the Way – A concrete or brick path is certainly an excellent way to guide your visitors towards the front door of your building. Still, one lined with low shrubs or plants and some low-level lighting is significantly better. Avoids Trip Hazards – Placing plants at the face of steps is a very economical and sure-to-be-seen way of avoiding any trip hazards. For whatever reason, people are far more averse to stepping on plants than the average warning sign or stripe. Keeps People Out of the Parking Lot – Simply put, well-tended paths tend to get used. This keeps your property’s guests from walking through the parking lot and having an unexpected meeting with a car. 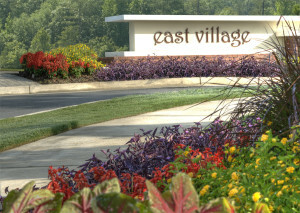 For more information on the benefits of commercial landscaping, please contact us at Outdoor Expressions. You can find us online at OutdoorExpressions.net or phone us directly at 888-210-1116. Outdoor Expressions – Make your outdoor space a place to remember. Most bricks are variegated in color with multiple natural looking colors. Concentrate on the predominant one – for example, pink – and include a flower similar in tone into the landscape design. For darker colored bricks, it is preferable to use lightly colored flowers, shrubs and trees to offset the home’s dominance over the landscape. You can even try framing the home with a row of flowers on the bottom, shrubs on the sides and trees up above. For a completely customized look, paint the brick to suit your taste and then add similar flowers to complete the look. This is not an inexpensive option, however. For more tips for your brick building or if you are in search of a commercial landscaping firm in Atlanta, please visit us online at OutdoorExpressions.net or phone us directly at 888-210-1116. Outdoor Expressions – Make your outdoor space a place to remember. Growing a Large Garden – While most neighbors will overlook a relatively small garden placed in an unobtrusive spot, digging up your side – or front! – lawn is generally proscribed by government statute or by neighborhood covenant. Raising Chickens – Similarly, livestock and food animals are usually not considered pets and therefore you do not have a right to keep them in your yard. Collecting Rainwater – Believe it or not, the rainwater that lands on your home or yard may not be yours. Many localities consider it community property and prohibit homeowners from large scale collection of it. 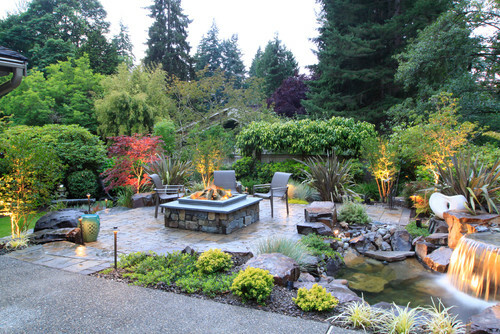 No one ever said that creating your perfect outdoor space was easy. For more tips on doing so, please visit us online at OutdoorExpressions.net or call our outdoor experts at 888-210-1116. Outdoor Expressions – Making your outdoor space a place to remember.